Thank you a lot for playing ! I'll try to improve the music after the jam, I know it's very repetitive and so boring. by the way, could you upload a web or mac version of your game ? I really wish to test it ! Thanx MrQuickGame ! you're right, I wasn't very inspired for the 8bit music this time,, I spent a lot of time during the jam testing the levels so I'm very happy you enjoyed the gameplay ! :) It could ! I hope I'll have time to develop this project to see where it leads :) thanx Jon ! Thank You Astro ! I don't have the feeling the beep is too loud but I'm maybe a bit deaf :) As I say above, I'm still developing this project for the Philosophy Game Jam, so I'll let you know when it's finished ? Thanx again for playing ! Thank you Joshua for your video and your comments, rules needs to be broken ! ;) Your jam and the Philosophy Game Jam are taking place at the same time but the Philosophy Jam last longer, so I am still developing this project,,, see you in 5 days for a longer version of the game ? thanx again for your enthusiasm ! First try was a bit hard but after I understood I must keep calm with my mouse :) Maybe the gravity is a bit strong and the snake too big ? Keep working on it !! Thanx:) I'll try to develop it a bit more ! 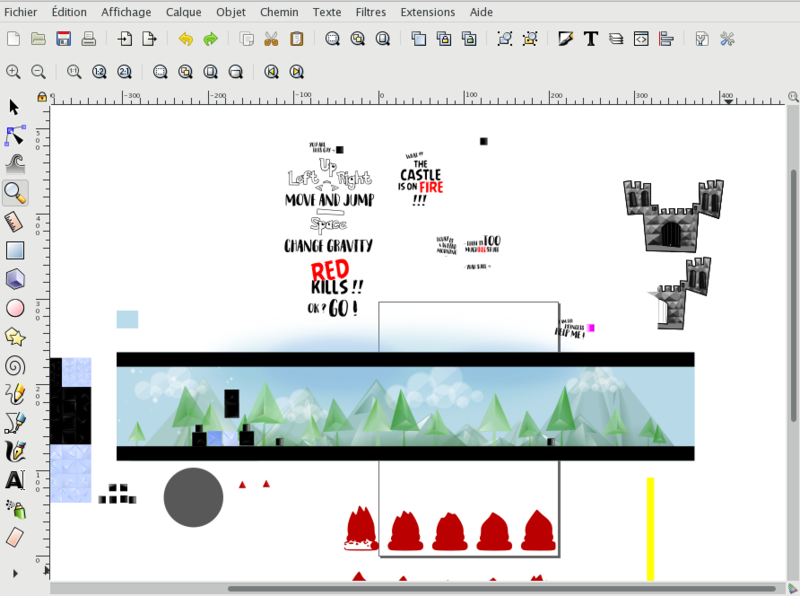 2D Platformer Jam community · Posted in Progress!